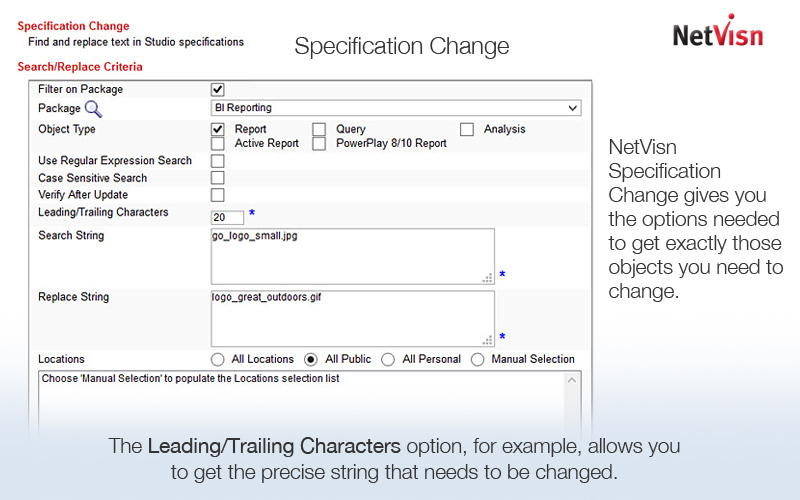 This NetVisn feature is designed to handle updates to object specifications and model item changes quickly and easily. Whether it’s a single object, hundreds or thousands, NetVisn can handle them all. Here NetVisn is not searching directly against the Cognos Content Store putting resource contention on its main purpose of fulfilling user requests. 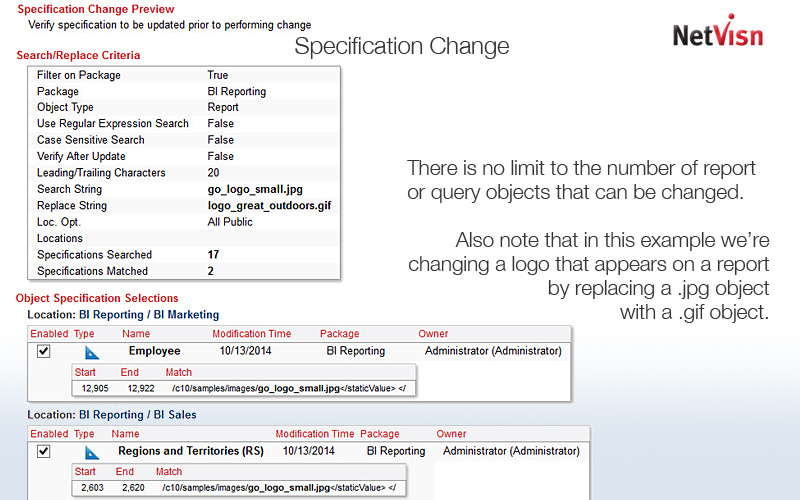 It uses its own repository of the Content Store’s objects to get the objects needed for spec changes. 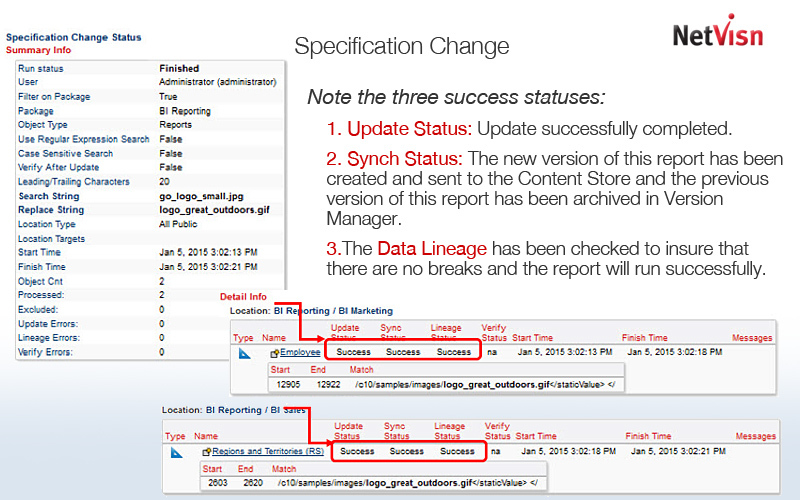 The Specification Change Status here shows that the two reports have been successfully updated. 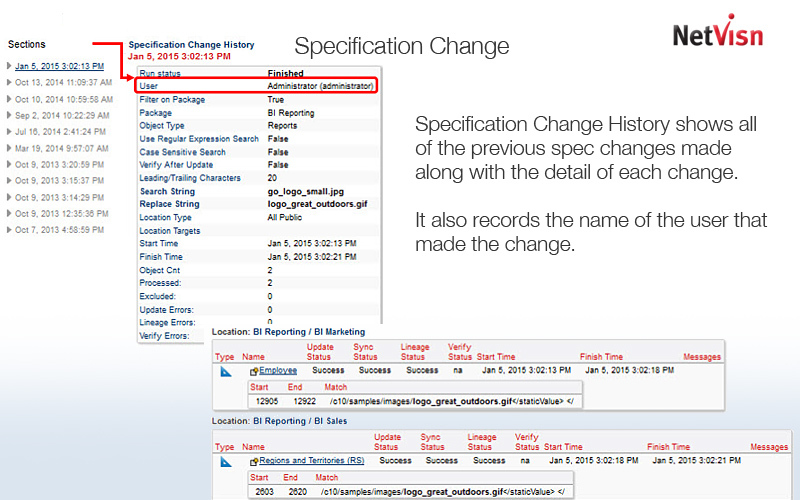 The Specification Change Preview shows us that two reports have been identified with the string that needs to be changed out of a total of 17 that were searched.